Well it has been a busy few months, I have made a few more orders and replaced some parts which I just thought would look nicer new. 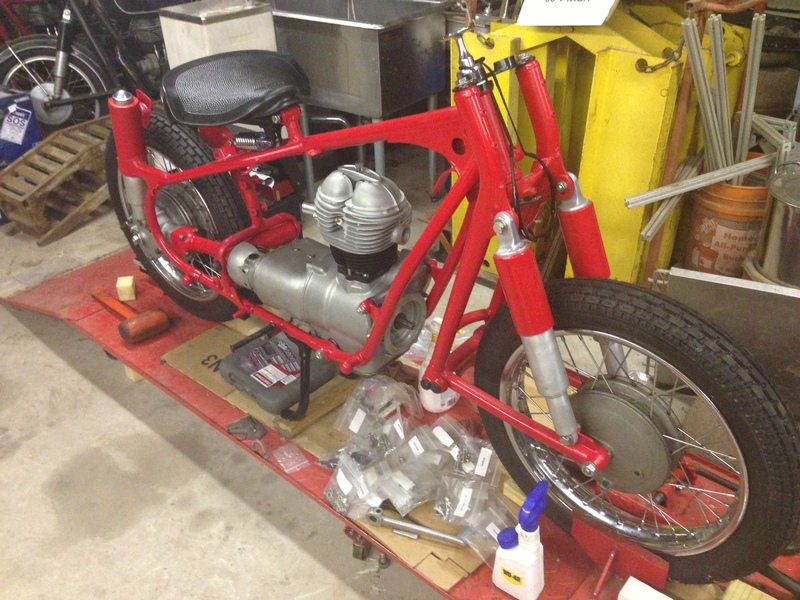 I have also placed the engine in the frame and assembled a few other components. I am currently waiting on some new handlebar risers since my original set had a bit of pitting on the chrome. I had some issues installing the seat and it would seam some bolts that should have came with either the seat or the bolt kit were not present. I made due with what I had. I have included more photos in the main assembly. This entry was posted in Uncategorized by Cleven. Bookmark the permalink.